I am super excited to be posting the first installment of my new "Like a Local' series where I will be featuring an interview with a local from an awesome city or region each week. 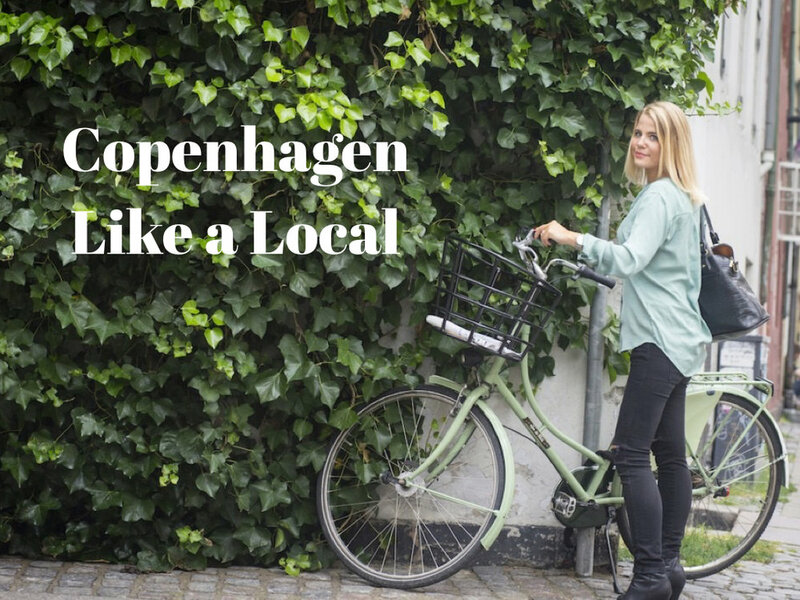 To kick off, I interviewed Regitse Cecillie Rosenvinge, the brains and brilliance behind one of the best luxury travel blogs in Scandinavia, The Copenhagen Traveler. What do you do for work? I'm a travel blogger and freelance journalist. Where are you originally from? I'm originally from Gilleleje - a coastal town one hour North of Copenhagen - but I have lived abroad and in Copenhagen for many years. Describe Copenhagen in 3 words: open-minded, cosy, vibrant. What are the 3 best areas or neighbourhoods to explore in Copenhagen and why? Vesterbro: it's dodgy, a bit rebellious and very charming, especially during summer. The Meat Packing district is also located here. The city center: I love the old center with cobbled streets and timber-framed houses. You can feel the presence of history, but it's also very young and vibrant. Sydhavnen: a relatively new area with beautiful apartments located on the harbour. I will move here this summer and I'm excited to explore a new part of the city! If you only had 24 hours in Copenhagen, what would you do? have a late breakfast at one of the many brunch spots in the city (Mad & Kaffe in Vesterbro is one of my favorites), stroll through the Meat Packing District and head to Tivoli for an ice-cream. 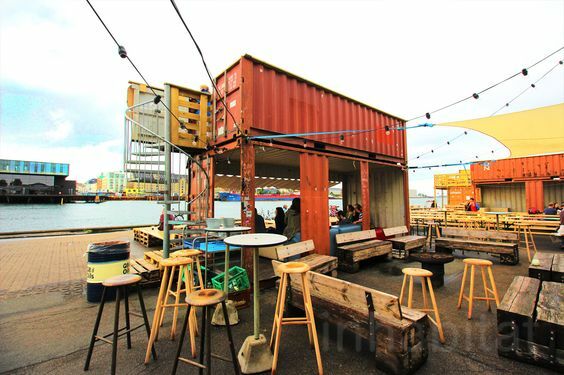 Embark on a food tour through Nørrebro (a colorful and multi-cultural part of the city) with Foods of Copenhagen and head to the harbor afterwards. Here you can embark on a sailing boat taking you through the charming channels of the city, and finally, you can visit Papirøen ('Paper Island') in Christianshavn, where Copenhagen Street Food is located. Pamper your taste buds with delicious food from one of the many food trucks while looking at the beautiful sunset - that would be a perfect day in Copenhagen! Where is the best place to have a weekend away near Copenhagen? As I'm originally from the North of Copenhagen, I'd definitely recommend anyone to spend a couple of days in Hornbæk or Gilleleje - two charming beach towns, which are usually full during the summer and completely empty during winter. The environment here is so relaxing and cosy, and you'll return to the city full of renewed energy. It takes approximately one hour by train or car to go here from central Copenhagen. What is an experience that people can do that is truly unique to Copenhagen? Well, you can bike around most of the city. That's pretty unique for Copenhagen. Also, people tend to use the public parks a lot when the weather is good - even for birthdays and parties. But the true charm of the city lies in each neighbourhood, which are so characteristic - they all have their own unique expression. Stroll through Vesterbro and Østerbro and you'll not only notice the difference, you'll fall in love with the many small cafés and shops. Where is the best place to get breakfast, lunch, dinner and drinks in Copenhagen? There are so many nice places, but here are a few of my own current favourites: breakfast - Mad & Kaffe (Vesterbro), lunch - WEDOFOOD (delicious salads in the Meat Packing District, Vesterbro) and Aamanns Etablissement (traditional Danish lunch in the city center). Go for dinner at Pluto, Uformel or Clou. Drinks can be enjoyed in the Meat Packing District or at classy cocktail bars such as Lidkoeb or Salotto42. All great places with mouthwatering cocktails!